Last weekend I attended a memorial service for Walter “Wally” Kubley in Ketchikan. Wally was a longtime Southeast leader whose career as a small businessman and public servant made a great difference for our region. 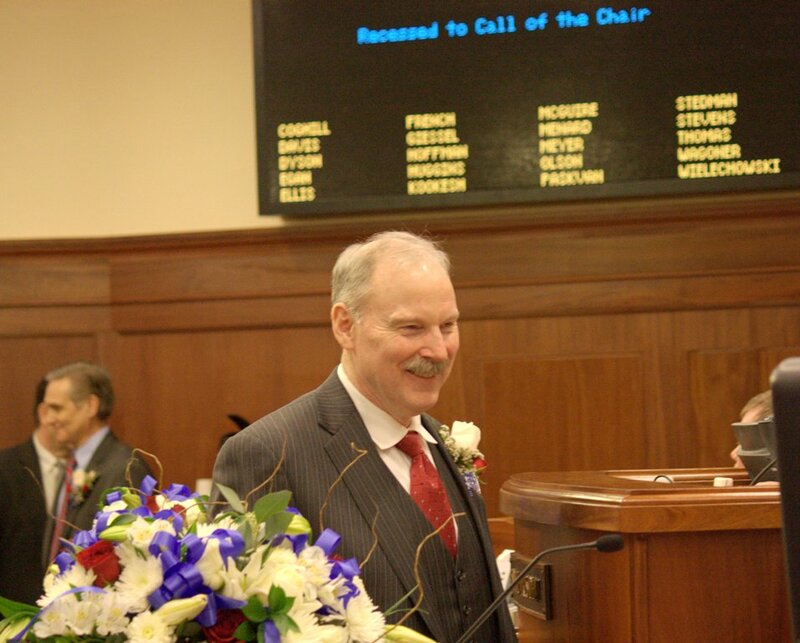 He represented Ketchikan in the Alaska State House of Representatives and served as Commissioner of Commerce for Governor Keith Miller. 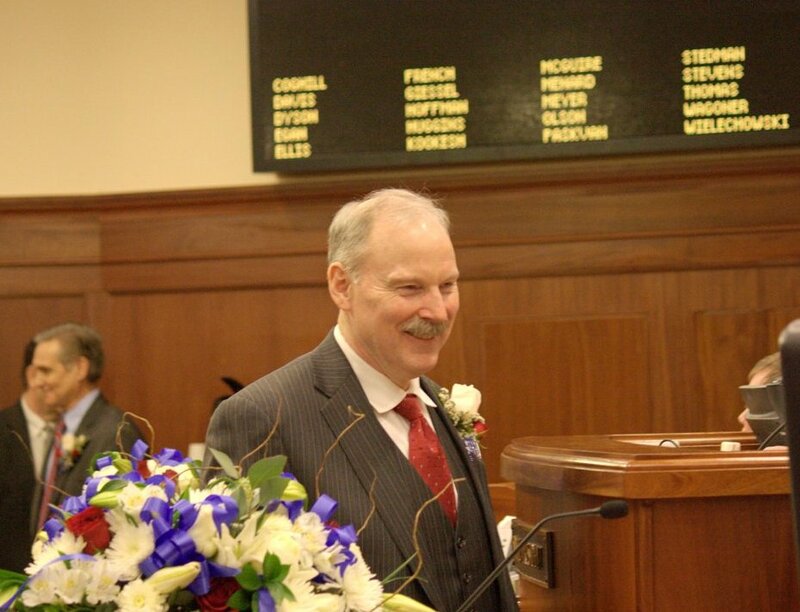 During his time in public office Wally authored legislation creating the Alaska Marine Highway System and facilitated investment of the state’s first oil revenues from Prudhoe Bay. The legislature passed a memorial citation in Wally’s honor that I was pleased to present at the memorial. The 27th Alaska Legislature convened in Juneau today. 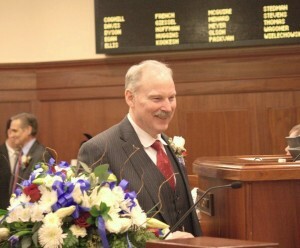 The ceremonies mark the opening of a new legislature, and the opportunity to address important issues facing our state. During the next two years I will continue to serve as Co-Chairman of the Senate Finance Committee. In that role, I serve as one of five members of the Senate leadership. Along with my Co-Chairman Senator Lyman Hoffman, I will be responsible for scheduling legislation for hearings and drafting the state budget. I will also serve on several committees that influence policy important to our district. These include the Resources Committee, Rules Committee, Legislative Council and Vice-Chair of the Legislative Budget & Audit Committee. 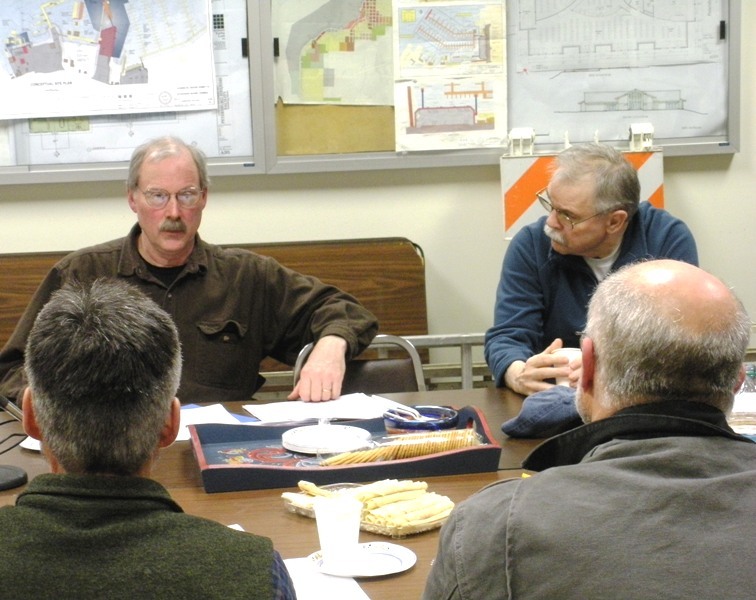 These positions will help me advance Southeast issues, and ensure Alaska’s finances are managed prudently. I look forward to working with colleagues to find solutions for Alaska’s energy needs, develop our natural gas resources, and further economic development in our state. In the coming months I will continue to be engaged on these, and other issues, to get results for Alaskans. I’ve arrived in Juneau after a productive trip through Southeast Alaska. It was great to travel around the district, and I enjoyed the opportunity to talk with Alaskans about the upcoming legislative session. My thanks to community leaders in Ketchikan, Sitka, Petersburg and Wrangell for their warm welcome. I appreciate their local insight and look forward to continue working with them to advance issues important to our region.